We are two matches away from knowing who will contest the 2019 William Hill World Darts Championship final at the Alexandra Palace on January 1. Three fancied players feature in Sunday night's semi-finals, with Michael van Gerwen, Gary Anderson and Michael Smith safely making it through to the last-four after two weeks of tantalising tungsten action, but Stockport's finest, Nathan Aspinall will complete the foursome set to do battle on the oche and the 500/1 outsider will be desperate to continue his sensational journey by reaching the World Championship final at his first attempt. 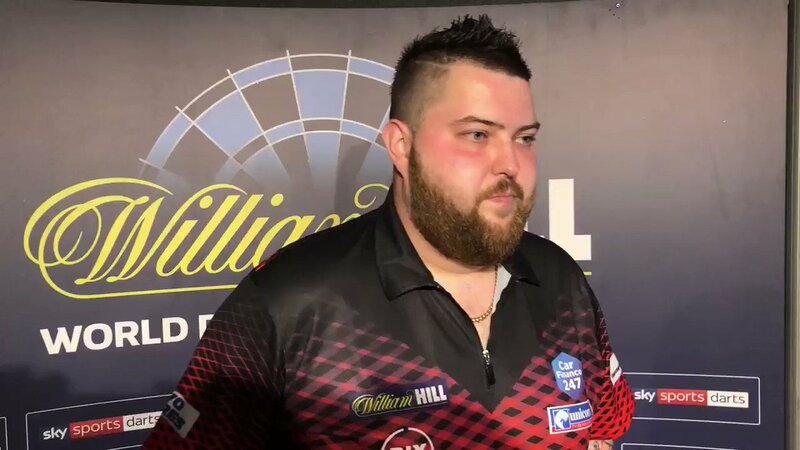 Michael Smith oozes a confidence that suggests he is expecting to book his place in Tuesday night's final, but while his self-assured nature hasn't catapulted into arrogance, 'Bully Boy' just can't see himself losing to Nathan Aspinall in the first match of the night. Aspinall has been superb at this year's tournament and he will see this as a big opportunity in what is the biggest game of his life, but Smith has the ability to find extra gears when it's needed and he can easily take the game away from Aspinall with a brace of legs being won in 22 or 23 darts. Smith is a world champion in waiting, and while he hasn't said he is going to win the tournament this year, I can see him comfortably averaging between 97 and 100 in tonight's semi-final and that should be enough to book his place in the final. Aspinall will certainly not lie down and he has the ability to up his game when it's needed, and I fully expect him to bag a few sets along the way, but Smith should prove too strong for his opponent and he can bag a 6-3 victory over the sparkling debutant Aspinall, who has changed his life this tournament. This is the semi-final people have been talking about since the draw was made last month, and I feel it will be the game that decides who is the best player in the world! Michael van Gerwen has become a little frustrated that his achievements have not rocketed him to the top of the pile in every darts fan's eyes, and I feel it angers him when he's not regarded as the best player in the world, as he has won a whopping 19 titles this year and tonight's clash with Gary Anderson could see him send a message to the darts world and cement his place as the premier thrower. Anderson has won the Grand Slam, World Matchplay, UK Open and Champions League this year and himself and van Gerwen have been going it at all year, but the pair have not necessarily been knocking each other out competitions this year, but tonight one player will have to succumb to the other. I feel the first four, five, six sets of Sunday's semi-final will be exciting with the pair possibly sharing the opening four sets, but I am still concerned about Anderson's back issues, and the longer format could see him struggle to maintain his best form, and van Gerwen could capitalise on Anderson's frailties and pull away. Van Gerwen will be relentless from the start and I can just see him pulling clear in the second half of the match and the Dutch superstar can reel off the final four sets and bag himself a 6-2 victory and book his place in the final. The exciting Perfect Treble game continues on semi-final night with Sunday's selected game being that of Michael van Gerwen v Gary Anderson. All you have to do is select the correct scoreline, who will hit the most 180's and the highest checkout in the match. It's a free to enter game, where you can win £180 or a share of that prize, if you correctly pick the three outcomes.